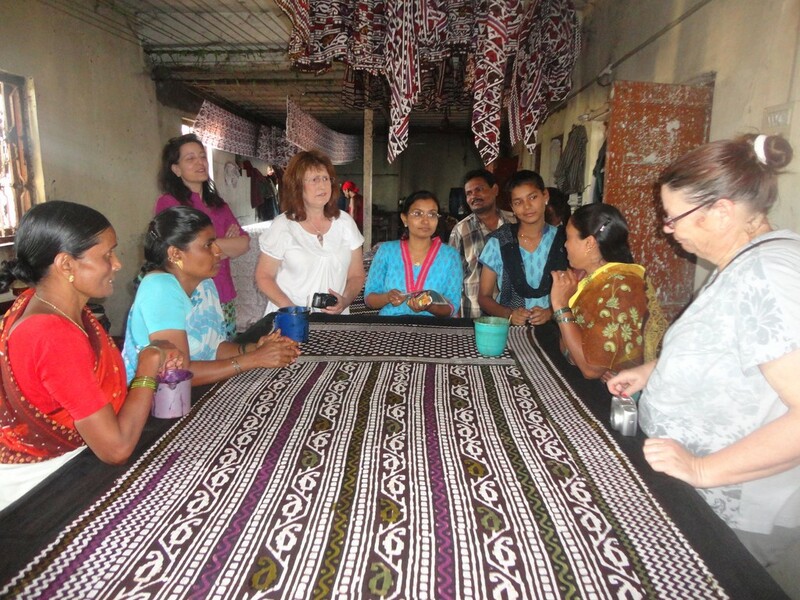 Last month, Kathy Harley (Director of Operations), Kathy Gscheidle (Assistant Customer Service Manager) and Diane Brown (Customer Service and Product Development) from SERRV visited MarketPlace in Mumbai. 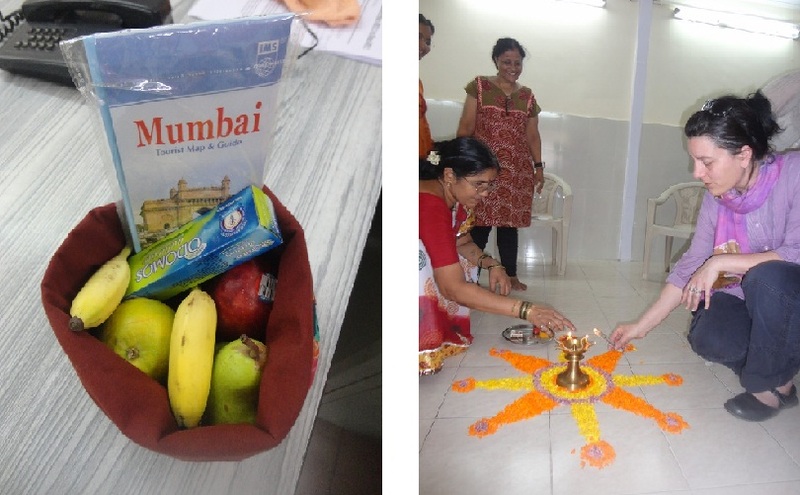 The staff at MarketPlace welcomed the guests with the traditional aarti and a special welcome gift for the visitors- chindi (recycled) bags with fruit, a map of the city and mosquito repellent. Later that afternoon, kids from the Armaan Club met with and later performed a short play for the guests. 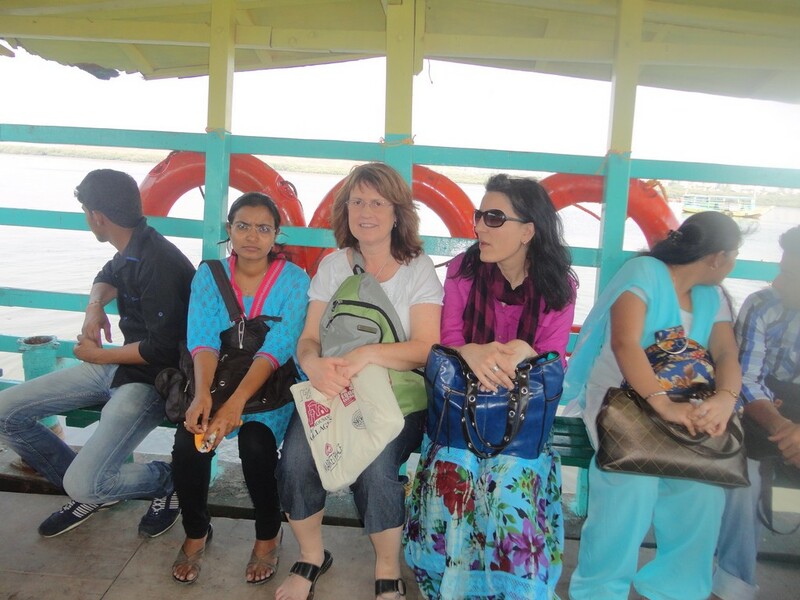 On the weekend the staff took them to South Mumbai to see the sights. South Bombay is home to many historical places like the Victoria Terminus Railway Station, Mumbai Univeristy, the Taj Mahal Hotel and the Gateway of India. Lunch was a traditional Indian thali (a set meal with a variety of dishes) followed by a visit to Crawford Market to buy spices. “The number of people you can see on the street and the traffic is just mind boggling. 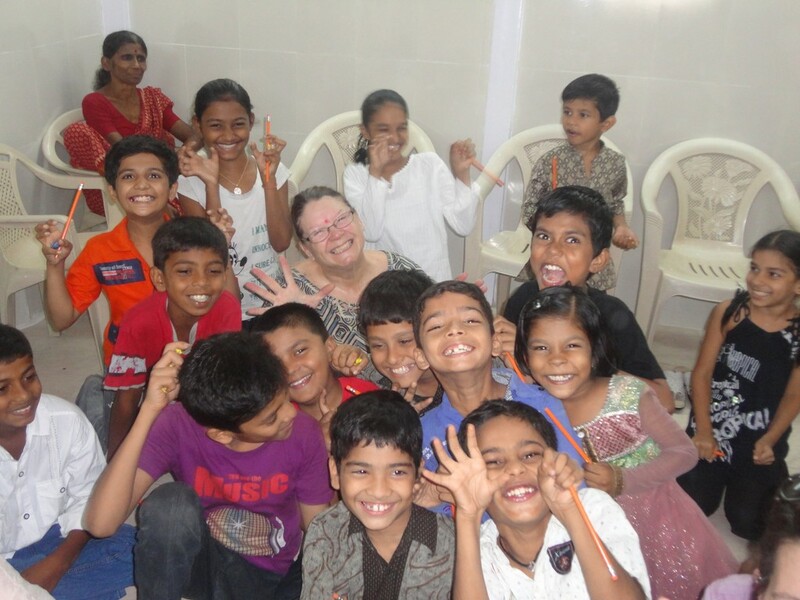 I especially loved the rickshaws and wanted to bring one home!” says, Kathy Gscheidle. On Sunday they went to Uttan, a village on the outskirts of Mumbai, where Zia runs his block printing unit. “We loved seeing how the block printing is done! I tried my hand at it too- and I’m sure we all have a new appreciation for the skills of the artisans now”, said Kathy Harley. In the following days they had a chance to meet MarketPlace board members over dinner and also to visit some of the producer groups like Arpan and WARE. The artisans opened up their homes to the group so they could learn more about their environment. “This was definitely the highlight of our trip. I was amazed at how compact things were in their homes. They somehow managed to do all the essential things like cooking, cleaning, bathing etc in the small spaces- and efficiently so!”, said Diane Brown. We had a great time hosting the group and we hope they’ll be back for more! Previous Post: MarketPlace Street Style: Accessories!